Do you ever start playing a game and right before you start, you wonder just how the next three to five minutes are going to play out? There’s excitement, dismay, fear, fandom, rage, and numerous other emotions that play in you head in the one second before you start. We've all felt it before playing certain games, or perhaps even reading a game review. I definitely had those feelings right before starting The Witcher 3: Wild Hunt. My lack of experience with the series, the fact there is literally nothing engaging to play right now, and the amount of hype surrounding this title all rolled together in that one second before playing (ok, more than a few seconds due to load times). So to say The Witcher 3 had a lot riding on its shoulders before I even started the game. The real point isn't the obvious one that this is a huge game, it's that The Witcher 3 delivers in a way I was not expecting, and after years of doing this, I still find these pleasant surprises the best part of the work I do. 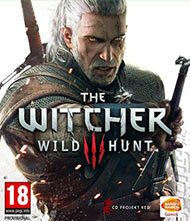 For those unfamiliar (yes, all two of you), The Witcher 3: Wild Hunt centers around Geralt of Rivia and his personal quest to reunite with those he holds dear, while also dealing with the powerful and mysterious Wild Hunt that pursues them. Yep, it’s really that clear cut. 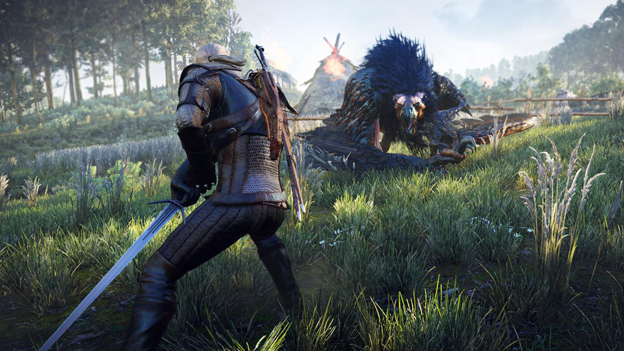 Some critics have commented that the depth of The Witcher 3's plot is a bit thin. Here’s the thing though. The beauty of this game, and most RPGs in general, is that you can find the most depth in the stories of the other characters you encounter. I remember a few years ago when I was playing through Mass Effect 3. At the time I felt that the engagement and depth to the surrounding characters was the best you can find in gaming. I was really wrong. While the main story for Geralt is not as original as some people might have wanted or expected , the stories you encounter out in the world are the kinds of moving, character driven tales that most television shows and movies fail to do appropriately. For example, there is one story that starts out as a simple missing person quest (in fact most of them start out as simple-looking Witcher contracts), but as you peel back the layers of the story you start to discover the darker motives behind that person's disappearance. Then it goes an extra step. Instead of making things black and white, to have you hate or simply kill the person who appears to be the “bad guy,” you have the choice to humanize them and hear how things got so out of control. Yes it is easy to just damn that person for what they did, and most games would simply have you kill them. 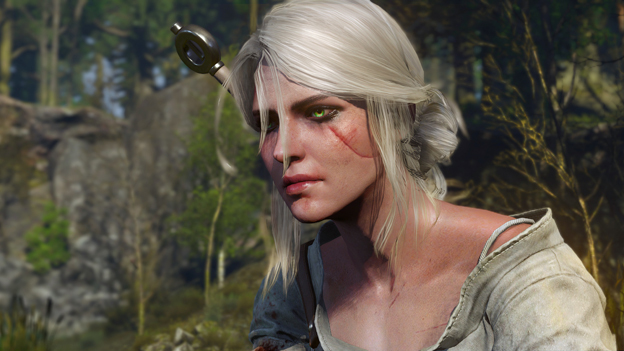 But in The Witcher 3, it's up to you to decide on how Geralt will address the twisted situations he encounters. Should you take a side and fight for what you think is right, or should you be the dispassionate monster hunter and let everybody stew in their own juices? It’s this type of powerful engaging story that seems to be missed in a lot of today’s decision-based games. No matter what you choose, the ultimate story is laid in front of you as though your choice was exactly how it was intended to be. It is a masterful stroke by CD Projekt to make you feel like you are in ultimate control of even the small side stories in the world. For another example, you come across a hunter who has been searching for his wife for nearly five days. All the townspeople are saying if they were lost in the forest they are dead, hell, even the hunter says this, but you agree to help. Here’s the thing though, while on your quest to find the wife, her sister shows up and tells you to call off the quest. You get the feeling that there is something between the sister and the husband, but in the end you can choose to call off the hunt or learn more... and that more leads to a situation in which you'll have to choose whether to damn the sister or the husband. All three solutions to the quest are potentially the right choice, it's all up to how you're role-playing Geralt and which choice you feel is best. It’s these nuanced choices that I feel The Witcher 3 excels at more than any game I have played before. Of course, there's more to this huge open-world game than just the stories. You'll be getting into plenty of fights with monsters and belligerent humans alike. Overall the combat is very fluid. It’s a fast-paced action system with fast and strong attacks, but without complicated combos. Geralt seems to be more Erol Flynn than a steeled combatant who has lived for nearly a century, but it still works. The mixture of magic (“Witcher signs”) being so readily available also spruces things up quite a bit. In short, it lives up to the kind of fast and furious combat that gamers tend to love, but looks can be deceiving, especially for newcomers (more on that later). Geralt's adventure goes from good to grand thanks to the excellent audio and visuals found throughout the game. In particular, none of the story's nuance would be possible without the excellent voice cast. Everyone seems to be at the top of their game, and I even had to look up whether the voice of Geralt was David Hayter. It isn't (it's Doug Cockle, a less prolific voice actor), but I still pretended that I was Solid Snake in Medieval times. Couple this with the excellent music and stunning graphics and there’s really no reason not to be enchanted (see what I did there?) by The Witcher 3. Well there’s one other reason, and it’s called Gwent.